Official figures suggest that Google’s Android is now the operating system of choice for smartphones. Comscore, a leader in smartphone analytics, has shown that the Google Android platform now has a 50.1% marketshare, vs 30.2% by Apple’s iOS. 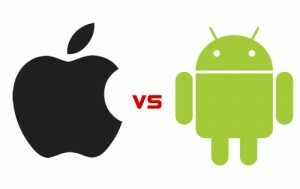 Which would suggest that Android is the dominant operating system. Whilst this is true, to a degree, it far from paints the whole picture. Apple may not have the marketshare that Google is able to claim, but it has a swathe of other metrics to suggest it is still the most important smartphone operating system. Marketshare may be one metric, but it is far from the only one and, arguably, not the most important. What it does is simply show an overall view, but big picture can hide a myriad of details that skew things somewhat. A vital metric for the market is revenue and profits. After all, it’s profits that companies are interested in at the end of the day. Here Apple wins significantly. A report by analytics firm Oppenheimer suggest that Apple is seeing far higher profits from it’s operating systems than Android. Apple has been the most profitable handset maker (in terms of operating) for 13 quarters running. When you consider that the iPhone is now operating in the legacy market (which at one point Nokia was dominating) that is likely to continue. Android has been fragmented across numerous manufacturers, often running widely different versions of the OS. Whilst Samsung has been on the up (and selling better than Apple), it’s profits are less than a quarter of Apples on a per handset basis, and the other major manufacturers are falling off in terms of sales, by quite considerable margins (for instance Nokia has lost 24% marketshare). Where the marketshare happens is also vital. The USA is a lucrative market as the buyers have more money to spend on things like apps. In the USA the top 3 smartphones are all Apple iPhones. In China, the biggest emerging economy, Apple is enjoying a huge amount of growth, even in comparison to other smartphone manufacturers running Android. The Apple’s market is vital now. Apple enjoys a far higher income per head via its app stores than any Android powered system. In the case of the top apps Apple are seeing 6 times more income than Google are. Android may have marketshare, but profits are what counts – and Apple is still winning there.